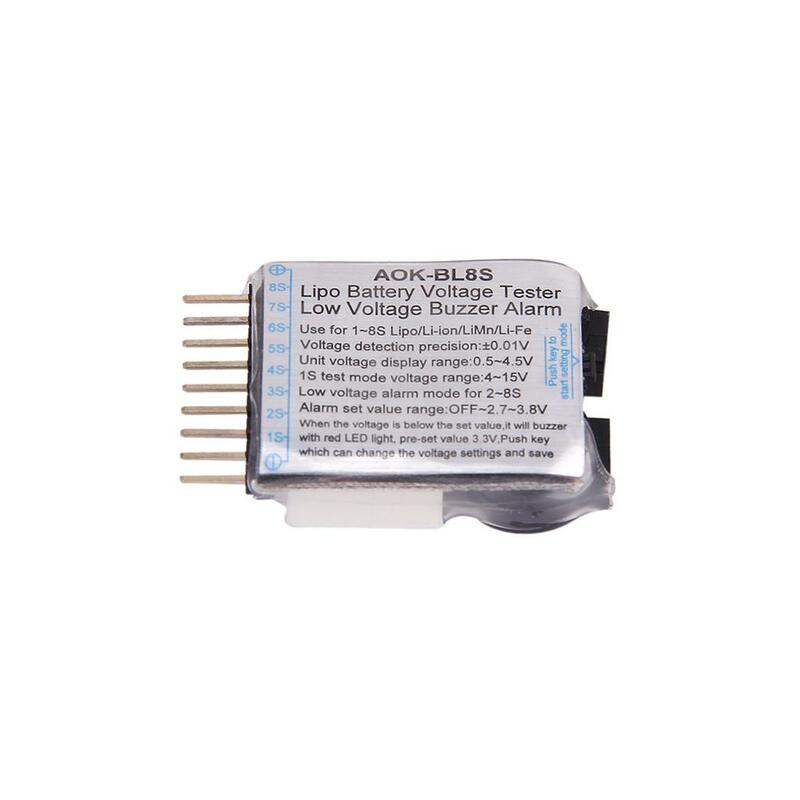 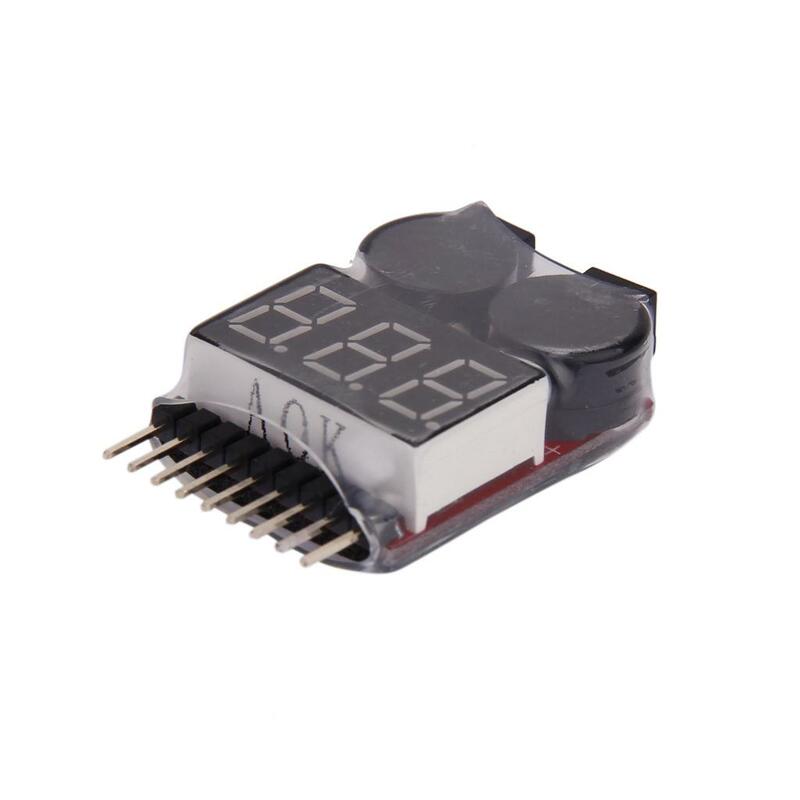 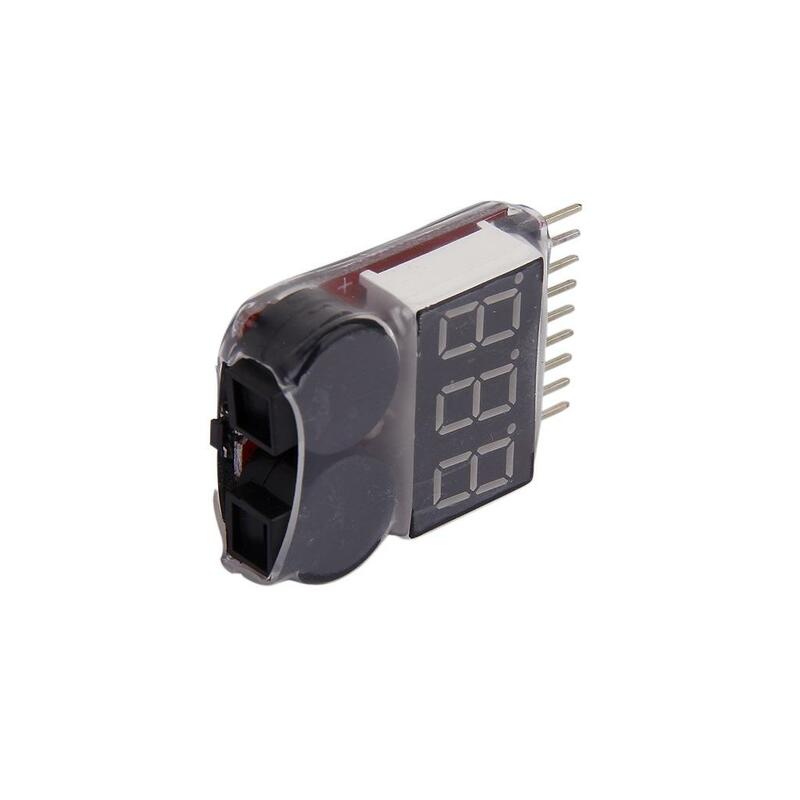 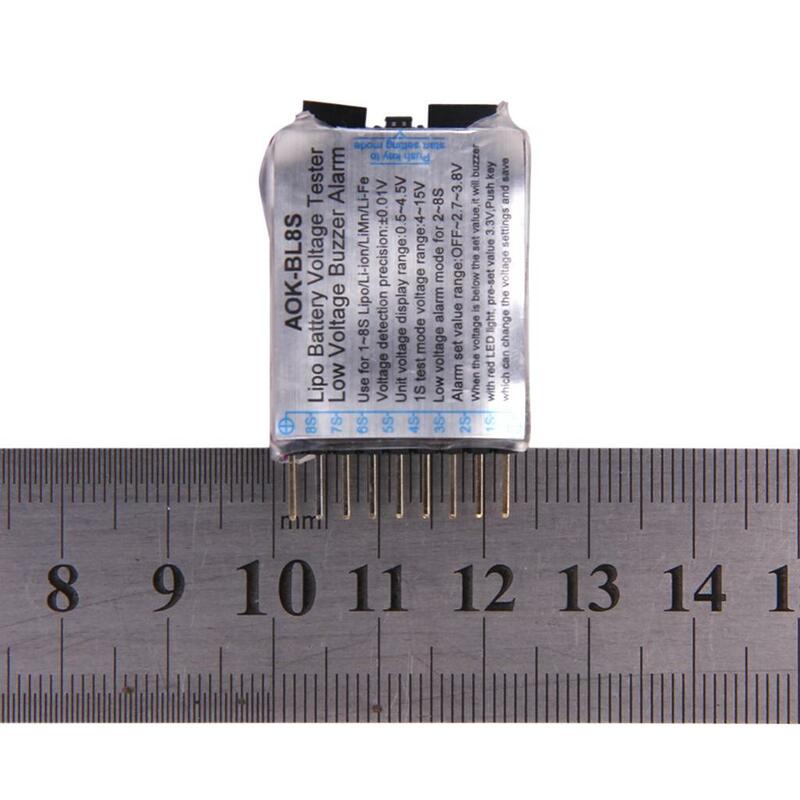 This 1-8S LiPo Battery Voltage Tester Low Volt Alarm Buzzer and LED is a microprocessor controlled high precise voltage detector. 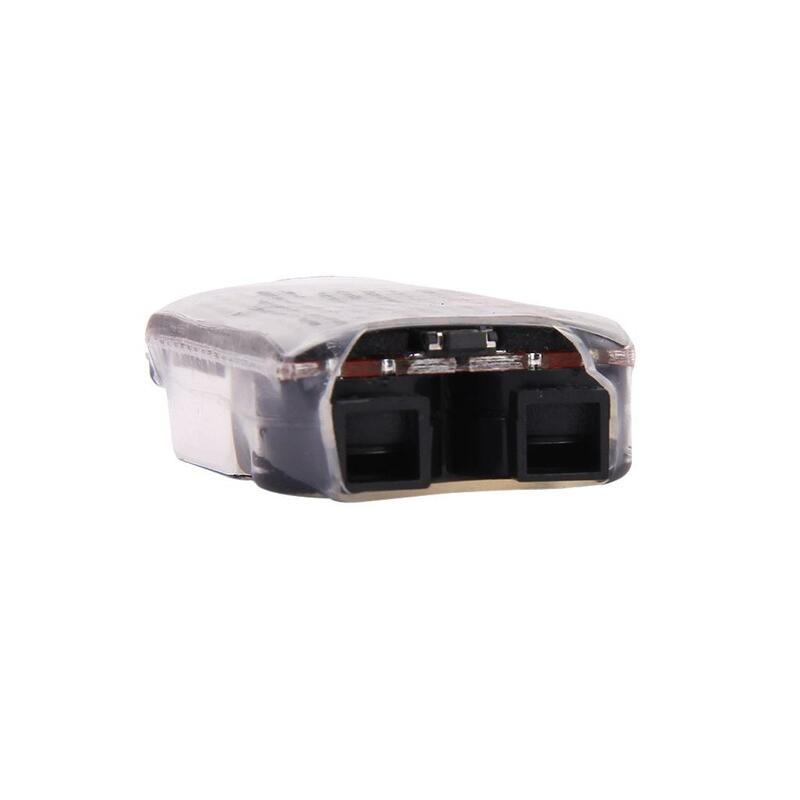 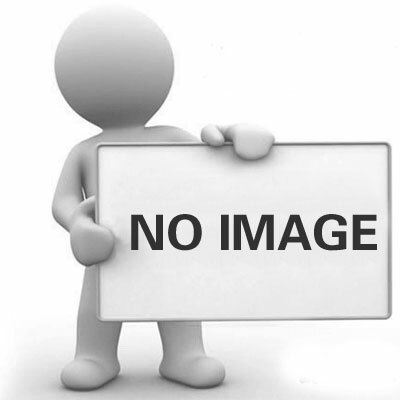 The unit can measure each cell voltage in 1S-8S LiPo / liFe / liLo battery pack. 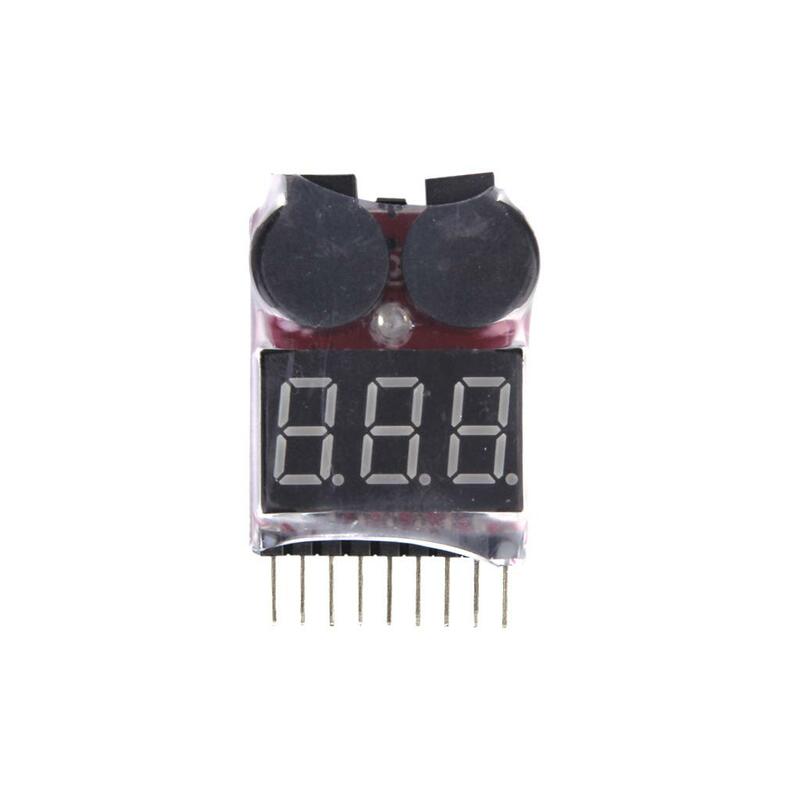 The total voltage and voltage difference are displayed simultaneously. 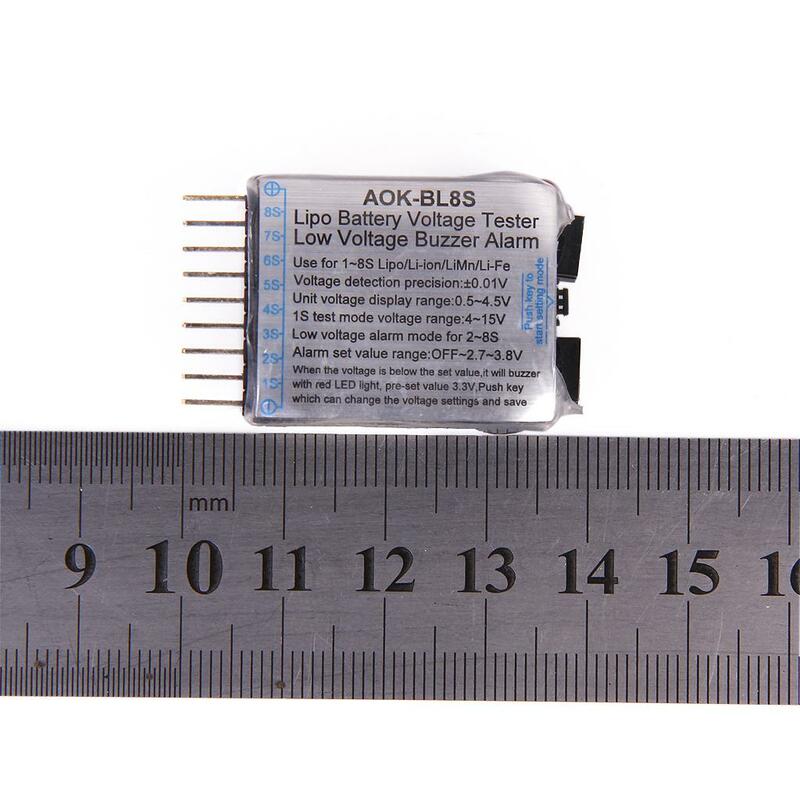 LiPo arlarm will give a warming buzzer / LED when any cell voltage reaches any value you set in flight.